I’m now at 5dp5dt and time is moving glacially slow. I’ve decided there are two types of time – real time, and IVF time. IVF time moves at half the speed of real time. This is a true, scientific fact – I may publish a paper on it. I am really not sleeping very well at all. I am having some extremely trippy dreams, interspersed (every hour or so) with sweaty awakenings and frequent trips to the bathroom. I feel a bit like Hunter S Thompson. 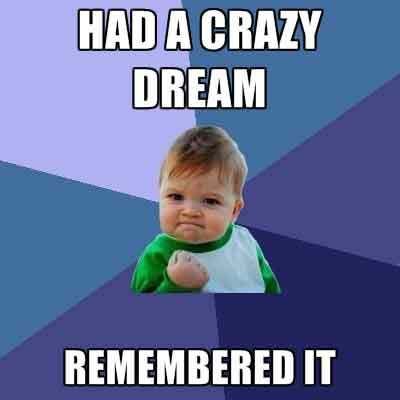 Last night’s dream was pretty good as it involved a BFP and being pregnant. The night before involved a cruise liner and Joan Rivers. I have no idea what is going on but I think it may be progesterone-related.